Buy live clams for wholesale. 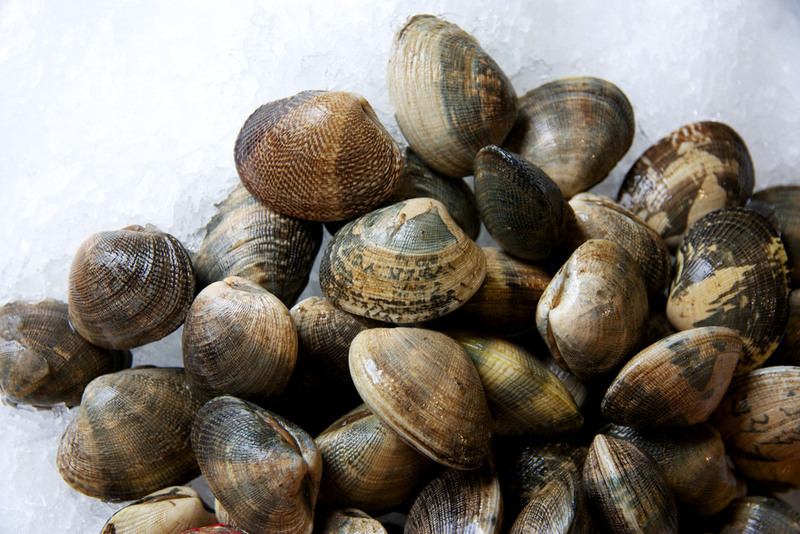 We carry many varieties of hard-shell, soft-shell, and seasonal clams including Quahogs, Steamers, Razors, and more! We buy high quality Maine steamer clams, pick out any broken or oversized product, and rinse them clean with very gentle care. Then we place them in our wet-storage system for a few days to purge out any sand or grit. After wet-storage, we rinse them again and do another quality check before packing them with lots of love. We bubble wrap the bottom, middle, and top, and keep it cool with a gel pack. Packing is the most important step to us because it results in a 100% yield of the most tender and flavorful steamers shipped to you. 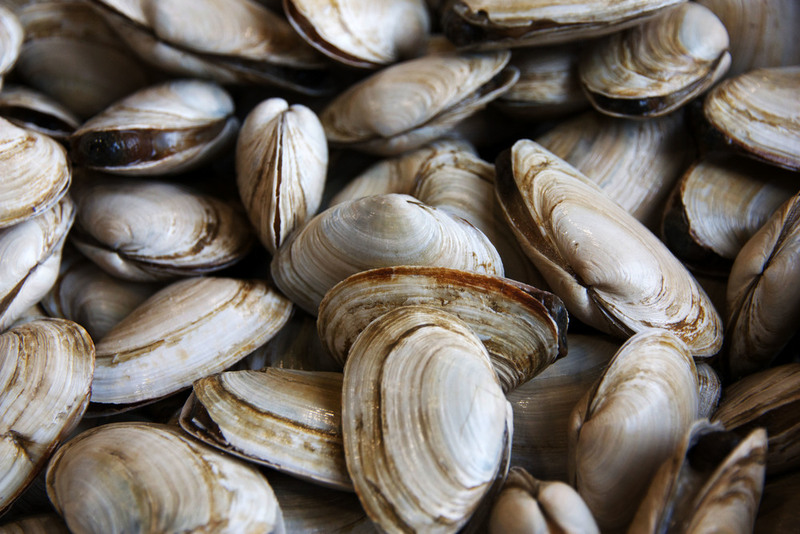 Steamers, also known as Soft-Shell Clams or "Piss Clams," are the same clams used for frying clams. We source our steamers mostly from Maine with supplemented product from Ipswich and Cape Cod. We buy "mud clams" whenever possible because they tend to have less sand or grit. As the name "Steamers" implies, these clams are usually steamed open, and they taste especially delicious steamed in white wine, butter, shallots, garlic, and black pepper. These hard shell clams are our native species. We buy from cold New England waters only, which means better shelf-life and superior flavor. Our littlenecks are harvested primarily from Falmouth and Cape Cod. These coastal ponds produce the sweetest clams we've ever tasted. The flesh is beautifully colored peach and full of tender meat. 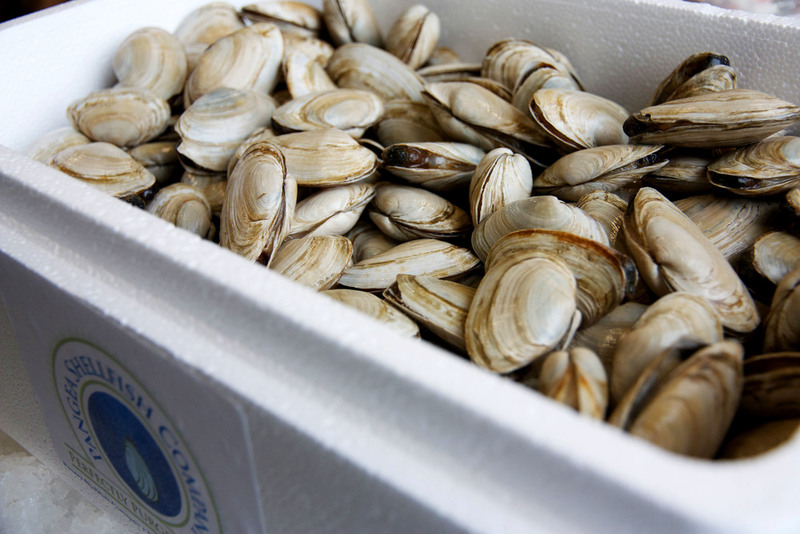 We supplement with clams of equal quality from other areas of Cape Cod, Buzzards Bay, and Rhode Island. 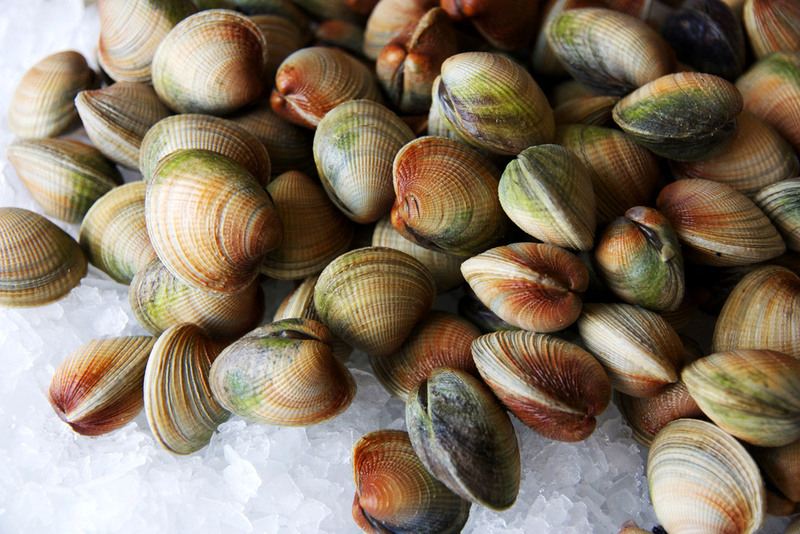 Our Manila Clams are harvested on farms throughout Washington and British Columbia. Manila Clams are typically used for steaming and work great as an appetizer or added to pasta dishes. Our cockles are harvested from the wild beds of southern New Zealand. Southern cockles are our cockle of choice because they are considered better quality due to the colder waters in the southern hemisphere. Cockles are usually steamed and have similar applications to Manila Clams. Surf clams usually measure 5 to 7 inches in shell length. The meats have a great, sweet clam flavor and are used in a variety of applications. Uses include minced clams for chowder, clam strips, and sushi. Razor clams are only available on large negative tides. This means the tides are below average lows, which typically happens around the full or new moon of each month. We do not recommend placing these on menus due to their limited availability, but they work great for chalkboard specials!